Glenwood Spring's Real Estate Market - Low Supply! According to a recent article on Realtor.com, chief economists are aligned on the thought that 2015 is heading toward becoming a banner year for real estate. 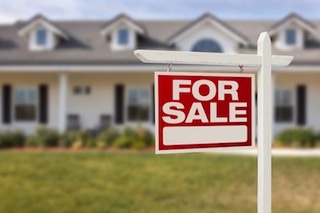 Home sales, home prices and mortgage rates are all expected to increase. The Federal Reserve has communicated to financial markets that it will raise the target for the federal funds rate this year. For serious buyers, the this article urges you to move now as forecast data suggests mortgage rate affordability may decline as much as 10% in 2015. While I am sometimes skeptical of articles that tell us that "now" is the time, what I am seeing in the local Glenwood Springs real estate market does seem to reflect the analysis presented in this article. Traditionally, January and February are the slowest months of the year for sales in our market. This year, there was a slight pause around the holidays, but right from the 1st of the year, activity has been very strong. With the continued lack of supply, available homes that are priced reasonably have been attracting multiple offers, often at or above asking price (and above the price of similar recent sales). Last Friday, I showed 3 homes to some clients looking in Glenwood and Carbondale. By the end of the day, all three properties had offers on them! I was able to show a brand new listing to clients of mine this past Sunday and it also had multiple offers by the end of the day. With low supply and high demand in Glenwood we are traditionally headed toward a seller’s market. However, with the Fed reportedly “running out of patience”, perhaps now is the time for buyer’s to jump in the game and scoop up the last low mortgage rates we may see for awhile.